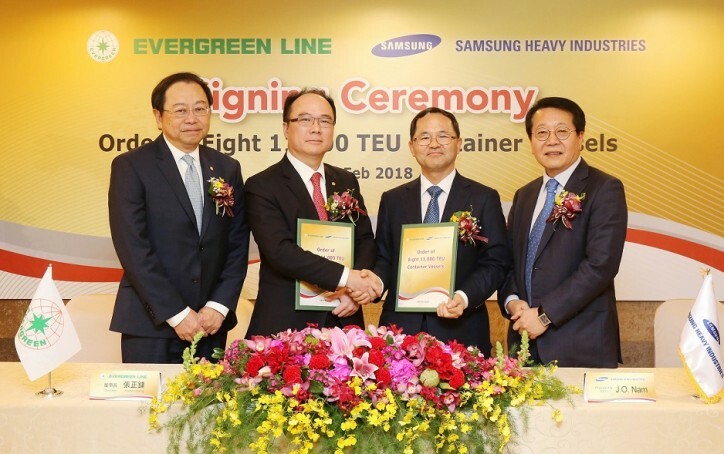 Evergreen Marine Corp. (EMC) entered into an agreement with Samsung Heavy Industries (SHI) last Thursday to order eight 11,000 TEU containerships. The contracts were signed by EMC Chairman Anchor Chang and SHI President & CEO J.O. Nam. Four ships will be owned by EMC’s subsidiary, Greencompass Marine S.A. and a further four by Evergreen Marine (Hong Kong) Ltd. The newbuildings are planned to be delivered from the first quarter of 2020 through the second quarter of 2021. Evergreen Marine Corp. emphasizes that the aim of this newbuilding program is to meet future market demand and to continue with its ongoing fleet renewal. 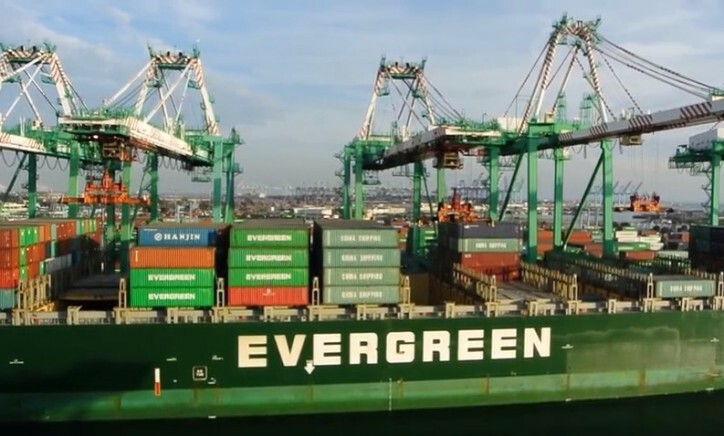 On delivery of these new ships, Evergreen will redeliver older chartered vessels as their charter periods expire to help optimize the efficiency of its operating fleet and enhance the competitiveness of its services. The ship dimensions are 334 meters long, 48.4 meters wide, able to carry 19 rows of containers on deck and has a scantling draft of 15.5 meters. The vessels are designed to sail at a service speed of 23 knots and can pass through the Panama Canal. The ship hulls are shorter than those of ultra large containerships plying the Asia – Europe trade, making it easier to maneuver the ships during berthing or departure and brings greater flexibility in fleet deployment. The newbuilding design adopts a twin-island concept, separating wheelhouse and accommodation block from engine room and funnel area. The arrangement increases navigation visibility as well as the permissible height of container stacks on deck and therefore the cargo loading capacity. Tags: Evergreen Marine, EMC, SHI, Samsung Heavy Industries, containerships, Greencompass Marine S.A., Evergreen Marine (Hong Kong) Ltd.